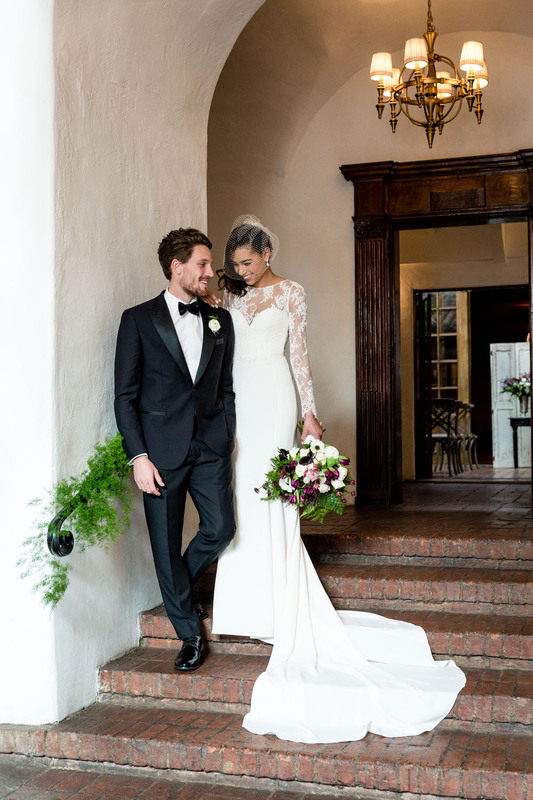 I recently had the opportunity to work as prop stylist and floral designer for wedding company and the uber cool tuxedo rental company, The Black Tux. My girl Annie Cavallo, handled the bridal styling and I handled the set design for all the faux wedding elements. Above, is the couple leaving “ceremony.” I designed a moody purple, black and white bouquet for the bride and a variety of boutonnieres for the groom and groomsmen. My favorite scene to prop was the cake cutting scene with a dummy cake from Lele Patisserie that I decorated with maidenhair fern and hellebore. Congratulation to the couple for their Future. 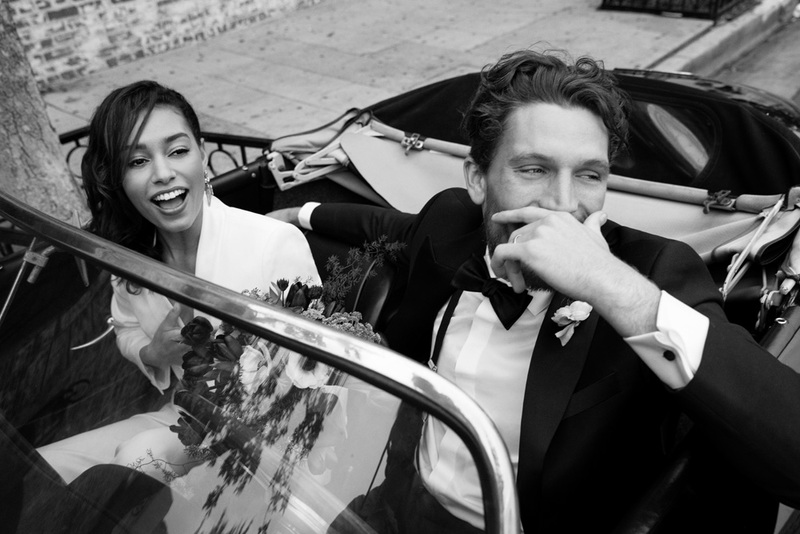 I really enjoyed the blog and specially the Groom and Brides Pictures. It looks like they are the happiest couple of the earth.